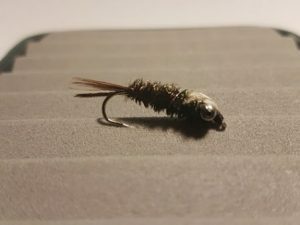 Diawl Bach & the Pheasant tail Nymph. 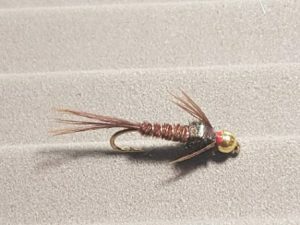 In the last few weeks i have been looking at a lot of fishing reports and one of the most productive flies has been the Diawl Bach & the Pheasant tail Nymphs so i have written a short description and some tactics on them both and some pictures and links to my site where you can buy them. 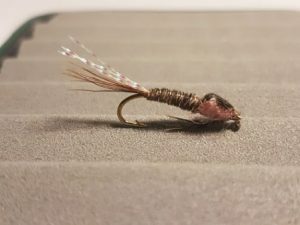 The Pheasant tail nymph has to be one of our best trout flies in the world. 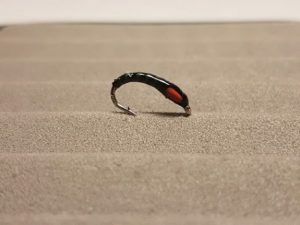 It is considered by many to be one of the most effective patterns ever designed. 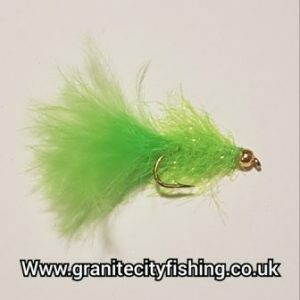 Conceived by Frank Sawyer (1907 – 1980) who was a noted angler and river keeper on the Hampshire Avon the Pheasant Tail Nymph Fly can imitate a wide range of aquatic life and has over the years established its as a firm favourite in most trout fly man/woman’s fly box. 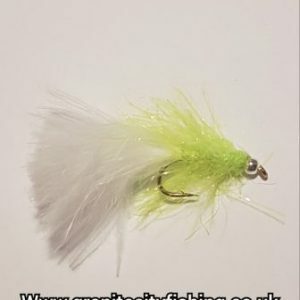 Any insect eating species will have a go at the fly they are a general representation of the nymphs the trout will feed on. 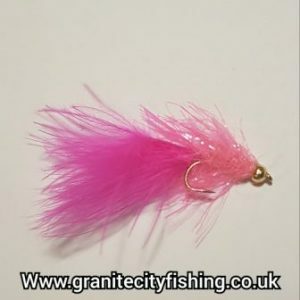 Pheasant Tail Nymph flies over the year have developed with many varieties available, it now come in hotheads, of course the gold head pheasant tail flies are one of the popular ones, but do try the pearly pheasant tail nymphs or indeed the flash back ones. 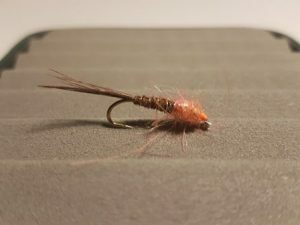 There are also pheasant tail nymphs in orange and yellow! 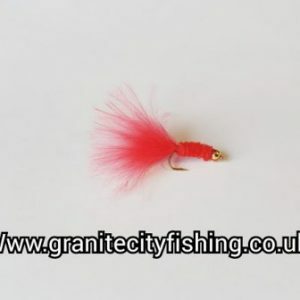 i have a range of pheasant tail flies in a variety colours and sizes which i will list below. 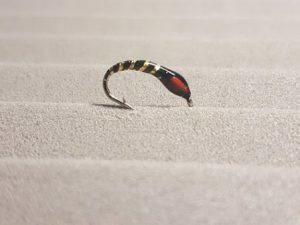 The Diawl Bach is a massively successful fly producing some amazing fish all over the world on a variety of methods and fisheries. 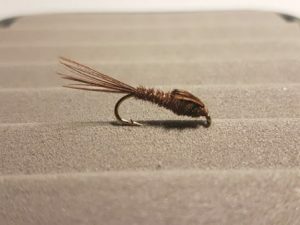 As opposed to the Pheasant tail, the ‘Diawl Bach’ is probably the second most used nymph on the fishing scene. 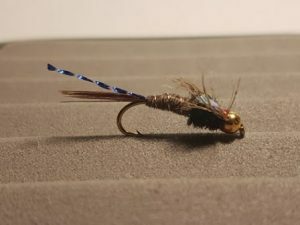 This fly can be fished on a variety of methods from forming part of a team on a buzzer cast or on a washing line technique close to the surface. 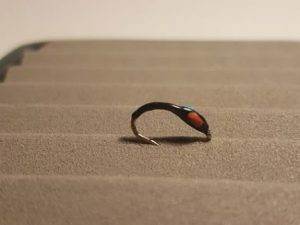 The Diawl can also be a devastating fly fished between two lures on deep sinking fly lines, what usually happens is that a fish is attracted by the lure on the top dropper when pulled, but as it slows down the fish gets less interested and turns away to find something more subtle and food like below. 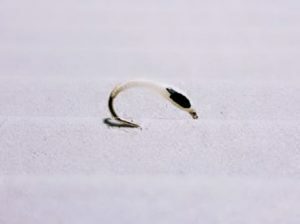 A great middle dropper pattern when fishing the ‘Hang’. 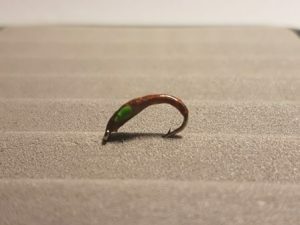 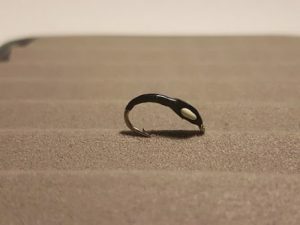 The Diawl Bach imitates an emerging, hatching buzzer but can also be taken for a host of other nymphs, tied in many various guises and colours the Diawl is ideal for replicating the hatch of many other waterborne insects such as olives and mayflies. 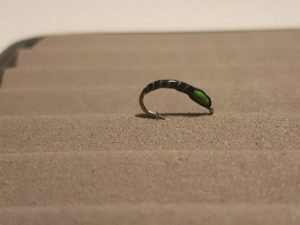 The Diawl Bach over the year has developed in to many varieties from various colours to hotheads and more see list below.